The Committee on Indian Affairs Ordered to S. 1948 be reported with an one of TEDNA’s proposed amendments in the nature of a substitute favorably. TEDNA and NIEA’s briefing paper on S. 1948 can be seen here. Our previous post on this is here, here, and here. S. 1948, A bill to promote the academic achievement of American Indian, Alaska Native, and Native Hawaiian children with the establishment of a Native American language grant program; S. 2299, A bill to amend the Native American Programs Act of 1974 to reauthorize a provision to ensure the survival and continuing vitality of Native American languages; S. 2442, A bill to direct the Secretary of the Interior to take certain land and mineral rights on the reservation of the Northern Cheyenne Tribe of Montana and other culturally important land into trust for the benefit of the Northern Cheyenne Tribe, and for other purposes; S. 2465, A bill to require the Secretary of the Interior to take into trust 4 parcels of Federal land for the benefit of certain Indian Pueblos in the State of New Mexico; S. 2479, A bill to provide for a land conveyance in the State of Nevada; S. 2480, A bill to require the Secretary of the Interior to convey certain Federal land to Elko County, Nevada, and to take land into trust for certain Indian tribes, and for other purposes and H.R. 4002, To revoke the charter of incorporation of the Miami Tribe of Oklahoma at the request of that tribe, and for other purposes. 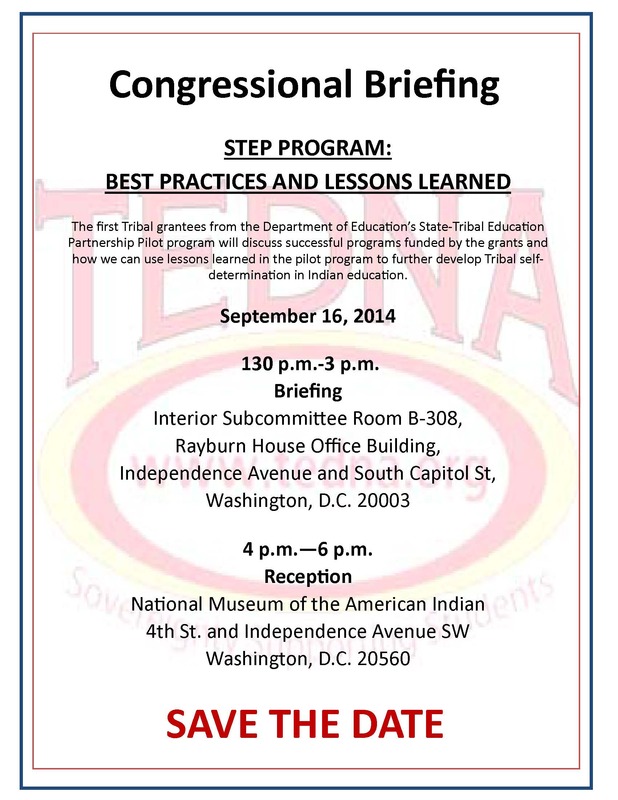 To view on the office U.S. Senate Committee on Indian Affairs page, click here. Adrienne Keene is a blogger, Native Appropriates, who gained quite a bit of exposure as a writer of the Native experience in higher education. Her blog Native Appropriates is a forum discussing representations of Native peoples, including stereotypes, cultural appropriation, news, activism, and more. The following is an excerpt from her blog about dealing with national exposure and the racism she encountered based on a photo accompanying her article via NPR. On both the NPR article, and definitely on the Facebook thread on the NPR page, my identity is being dissected by hundreds of people who don’t know me. Who don’t know how I relate to my Native heritage, the work I do, who my family is, anything. I also think it’s kinda hilarious–do they not realize that, as a blogger, I’m on the internet? Reading their thread? But y’all know it’s not new. If you need a refresher, read the comments on, oh, any of my “controversial” articles. Or read the drama I went through over Tonto. Maybe the 500+ comments on this Pocahottie article. Or the follow-up I had to do after it. It’s par for the course. I also specifically address my white privilege a fair amount, see the end of that Tonto post, or the annotated version of my Pocahottie letter for examples. I know my white privilege has afforded me protection and opportunities. That’s why I write about it. I am 98% positive that if this NPR article wasn’t accompanied by a photo, we wouldn’t be having this conversation. There is very little commentary challenging my ideas, or what I had to say about Native students transitioning to college–it’s all focused on how I look. You wonder why I care so deeply about representations? This is why I care. Because all those people think that Native identity is tied to looking like something off the side of a football helmet. This isn’t just something that happens to me, either. Last week, the Center for American Progress hosted a forum about Indian Mascots, and an incredible 15-year-old Native student named Dahkota Franklin Kicking Bear Brown spoke to the group. He talked beautifully about the effects of mascots on his schooling experience, and also what it means when fellow students, and even his vice principal, say he doesn’t “look Indian,” and how it is all tied in together. This sentiment is real, and it’s all connected. In writing Native Appropriations, I am inviting readers into a community. I want folks to get to know me, know how I think, operate, where I come from, what ideas we share, and where we differ. I love comment chains where we have discussions that push my thinking and help me grow. I love when it’s an equal exchange of knowledge. That can’t happen when I’m summarily dismissed. So I never “got around” to making an “about” page. I’m all up in this thing. It hasn’t seemed to hold us back. But, for better or worse, that’s not the way the internet functions. People want quick, easily digestible sound bites. They don’t want to enter into a relationship (which is the Indigenous way of doing things…). They want to be able to categorize and move on. Which is what happened with the NPR piece. To view the blog post and the entirety of Adrienne’s blog, click here. TEDNA’s 2015 Board will be selected at the annual meeting in Anchorage, AK on October 15, 2014. WASHINGTON, D.C. – As part of the Obama Administration’s historic commitment to ensure that all students attending Bureau of Indian Education-funded schools receive an effective education delivered to them by tribes, U.S. Secretary of the Interior Sally Jewell and Assistant Secretary – Indian Affairs Kevin K. Washburn today announced that the BIE will fund $2.5 million in Sovereignty in Indian Education competitive grants. The purpose of these grants is to provide funding to federally recognized tribes and their tribal education departments to promote tribal control and operation of BIE-funded schools on their reservations. In 2013, Secretary of the Interior Sally Jewell and Secretary of Education Arne Duncan convened the American Indian Education Study Group to propose a comprehensive reform plan to ensure that all students attending BIE-funded schools receive a quality education. Based on listening sessions held throughout Indian Country, the Study Group issued a Blueprint for Reform on June 13, 2014. The Blueprint recommends that BIE support tribal nations in their efforts to assume control over BIE-funded schools. “The American Indian Education Study Group made serious recommendations for improving how federal education services and resources are delivered in Indian Country, and the Sovereignty in Indian Education grant program responds to their concerns,” said Assistant Secretary Washburn. The purpose of the Sovereignty in Indian Education grants is to support tribal capacity to fully manage and operate tribally controlled, BIE-funded schools in their communities. Grant funds will support development of a tribal school reform plan with the goals of improved educational outcomes for students and improved efficiencies and effectiveness in operating the schools. Furthermore, by unifying a collective body of tribes, this initiative will build a collaborative network to support tribal control and stronger partnerships with BIE-funded schools. Tribal control of federally funded government programs often improves local service delivery because tribal governments understand the needs of their communities and are more likely to be held accountable for results by their constituents. The Department of the Interior fully supports tribes’ sovereign right to determine the structure of their own tribal governments and school systems, and seeks to strengthen that support by facilitating the sharing of information on efficient and successful school structures. As part of the program, BIE will provide tribes with technical assistance in planning and implementing assessment and implementation plans and in strengthening tribally controlled school processes. It also will provide a forum for tribes to work collaboratively with each other to gain insights and develop or share tribal and BIE problem-solving strategies. Grant awards will range from $100,000 to $200,000 per fiscal year depending on the number of schools involved, number of students, complexity of creating a new tribally managed school system and a tribe’s technical approach. Eligible applicants include tribal education departments that have three or more BIE-funded schools on their reservations. Deadline for applications is Sept. 12, 2014. In addition to today’s grant funding announcement, BIE will hold two pre-grant training workshops on Aug. 4 in Rapid City, S.D., and Aug. 6 in Phoenix, Ariz. For details about Sovereignty in Indian Education grants, click HERE.